Alex - Yeah. I run a gifting platform and it uses data and relationship data on finding the perfect gift. Because, I think, these days we live our lives online, and we have a big social footprint online, and gifting isn’t the normal retail experience where you’re buying something for yourself. It’s much more complex than that, you’re buying for someone else so there’s two different sets of personal data and preference data in there, so it’s actually a very complex journey buying a gift, far more complex than people realise. Just hearing whether people have done their Christmas shopping. The data around it’s really interesting around Christmas gifting because certain age segments buy very early. The older generations tend to buy in October. The grandparents have got their gifts sorted by then. Men and women can get very close to the bone and be shopping on Christmas eve, that’s not necessarily a gender thing. Chris - Yeah, I’m one of them. Alex - Me too, exactly. So there we go, we’re both in the same segment. Bigger items, bigger gifts are bought quite early on. If you haven’t bought them by the end of October then they’ve normally gone. It’s the smaller items that then go later. Chris - The company’s called Gift Wink? Alex - It is, yes. Chris - How long’s it been going? Alex - Our company’s been going for about two years, and we think we can get the perfect gift. Chris - How did this start; was this just your brain child and you set this up and you’ve scaled it? What’s the story? Alex - The story is I used to run a different platform. I used to run a tech careers platform which was a much drier topic. We matched IT professionals with the right job, so I figured we could do the same thing with gifts. It’s a bit more of an interesting journey because gifts are highly emotional. There’s a big emotional investment when you choose a gift for somebody and the reason why I started it is - I’ve got a bit of a confession to make -I’ve got one niece but I can never remember her birthday and I could never figure out what to buy her. Chris - So tell me the user journey or the user story? Someone comes to the website - what happens? Alex - We ask you a bit about who you’re buying for; their age and gender; what they’re into, and then we serve shorter bursts of the perfect gift so we say: here’s the five things your mum will love. Chris - How does your system know that my mum will love that? Alex - It depends on the questions we’ve asked. There are age and gender categorisations. The relationship label is quite key actually - if I’m buying for say three different women in my life say, a girlfriend of mine, versus my sister, versus my mum. Even though those are three women I’m buying for of not particularly different age groups, the emotional investment in those three different relationships is significantly different. And the price point is different for a friend versus my mum versus my sister, so just the relationship label in itself drives a different segment of gift suggestions. 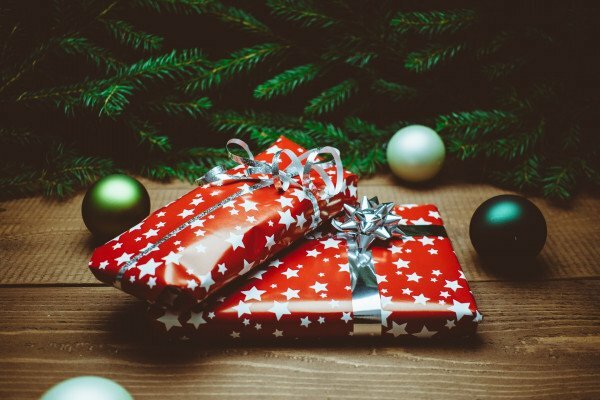 If you add in then a blend of age and gender data ,whether they’ve got children, whether they haven’t got children, what they’re family groupings look like, then you're halfway towards getting a better gift selection for them. Chris - So the system says right, you’re buying for a ten year old girl and she’s interested in this sort of thing, and it’s going to offer you some options. Are you then closing the loop, you’re saying when we present those options to a potential purchaser, they tend to click on these things and not those ones, so those must be things that are appealing to, in their mind, a 10 year old girl, therefore increase the emphasis we place on those in the next sale, and the next sale? Is that what you’re doing? Alex - Yeah well what we do, there are different gifting occasions and motivations, so if I can buy for my own children versus buying for other people’s children , if it’s a birthday versus a Christmas gift, so the occasion itself is different from a price point perspective; the relationships are different.When we have asked those questions, we serve a list of content to our customers, we then have the ability for them to tick and cross which ones they like as they go along. So we know oh, they’re liking that, they’re not liking that, and we can serve them better match content, so we learn as we go along what they’re into and then we can serve them more of what they like and less of what they don’t like. Chris - So are people really getting a genuine ‘it’s a good gift selection’ or is it just who you happen to be working with as your supplier? Alex - We’ve got now, I think, 8,000 gifts listed so we’ve got a lot of gifts. It’s important to go and find out what people want, so what's interesting when you buy gifts for children, for example, is they tend to be very heavily into a brand. Whereas when you’re talking about what people are into when they’re adults, they tend to be more category based so they’re really into cooking, or they’re foodie, so the labeling is different for ages and genders. To have a perfect gifting experience you’ve got to have discovery brands, mainstream brands, you’ve actually got to have a blend of everything, because buying for children is very different from buying for adults. So, 8,000 gifts might sound like a lot but if they’re only into food, and only that kind of food because I’m gluten intolerant then, suddenly, you need a lot of inventory on your site. Georgia - Alex, I’m intrigued. A lot of people really like cool, brand new tech for Christmas - I know my dad certainly does. What’s been exciting in tech in 2017; what kind of tech presents do you think people are going to be getting this year? Alex - There’s some really big branded things that are coming out. There’s some new games consoles that are very clever and there’s all that kind of stuff. Virtual reality will play a big part in Christmas gifts this year I think. You’ve all seen the headsets; they’re getting better and better, so I think there’ll be quite a lot of that going round. I’ve seen some very cool stuff, some drones that you can control with your hand gestures. It’s very minority report, so actually as you move your hands the drones move and I think that will be something on everyone’s list this year. Georgia - I’d like one of those. Chris - Is that on your website? Chris - It will be tomorrow? Alex - Exactly. And one other thing I was having a look at what’s really significantly innovative at the moment, and there’s a guy who’s very very close to releasing a car that actually turns into a plane. Back to the Future moment, that’s feasibly coming in the next 12 months. Chris - And is that going on your website? Alex - I don’t think that’s quite on there and I’m not sure it would fit under the tree, but it’s definitely one to keep an eye out for.